King Henry VIII of England is well-known for his role in the separation of the Church of England from the Roman Catholic Church, because of his disagreement with papal authority. He installed himself as Supreme Head of the Church of England and dissolved the monasteries. Henry’s dispute was with papal authority and not matters of doctrine, so his core beliefs were still founded in Catholicism, despite being excommunicated. 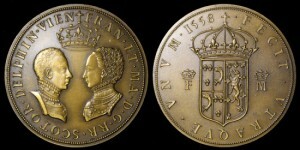 This is a category of england coins. Henry enacted the Laws in Wales Acts of 1535 and 1542, through which measures between those dates brought Wales in as a full and equal part of the Kingdom of England. 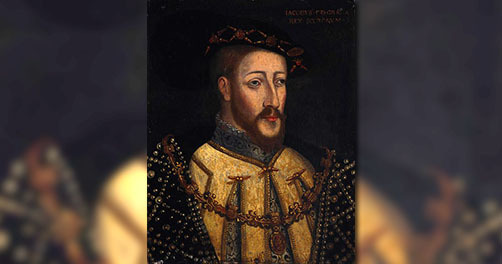 When Henry broke ties with the Roman Catholic Church, he asked his nephew, King James V of Scotland to follow suit. James not only declined the request, but also refused to meet with Henry in York. Infuriated, Henry sent a massive raid into Scotland. James appointed Robert, Lord Maxwell, Scottish Warden of the West March, in raising an army to respond. On November 24, 1542, a Scottish force of 15-18,000 led by Lord Maxwell and Sir Oliver Sinclair invaded England. Included in the march were numerous Scottish nobles. The Scots ran into Thomas Wharton, Lord of Wharton, and his army of 3,000 at the Battle of Solway Moss. The uncoordinated battle was fought between the Esk and Lyne Rivers and the Scots moved down river after being chased by cavalry and were penned up south of the Esk on English territory between the river and Solway Moss. Some intense fighting ensued, but the Scots soon surrendered after around 20 Scots and 7 Englishmen died in the battle. As many as several hundred of Scots were believed to have drowned in the marshes and river during the skirmish and around 1200 prisoners were taken. James himself was not present at the battle. The aftermath of the battle included Henry giving Thomas Wharton a barony. James retreated to Falkland Palace in Fife, Scotland, humiliated and with fever. He died two weeks later. Sir Oliver Sinclair was among those taken prisoner, as well as the Earls of Cassilis, Glencairn and Maxwell. 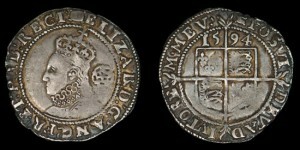 Lord Gray and Stewart of Rosyth were taken back to Newcastle upon Tyne, along with “pledges” who were taken instead of numerous of the Scottish nobles. The pledges served as hostages and all were well-treated during their capture as the intent was to return all of them to Scotland once their ransoms were paid. Some of the exchanges were made in January, 1543, but the Scottish government, under regents ruling in the stead of Mary I, Queen of Scots, who was only a couple of months old at the time, blocked some of the exchanges, saying the nobles were traitors for losing. Mary would go on to become Queen Consort of France when she married the Dauphine, who ascended to King of France as Francis II. She was executed by her first cousin, once removed, Queen Elizabeth I of England, against whom she laid claim to the throne.